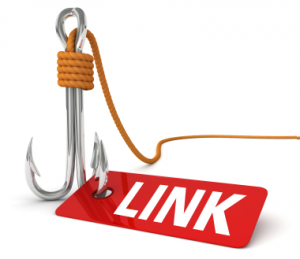 What Is Link Bait? What Is Epic Link Bait? You can probably guess what “link bait” is, but if you don’t know, here’s a little primer. Link bait is any kind of content in any medium (article, image, video, app, feature, etc. ), on a website, designed with the purpose of getting people to link to your website. The head of Google’s Webspam team defined “link bait” as anything that is interesting enough to get people to pay attention. Link bait is not necessarily bad – because Google loves valuable content. Link bait can be an incredibly powerful (and legitimate) form of marketing when it is fused with viral marketing. Epic link bait is link bait, but with one or two differences. Either the link bait generates so many likes, shares, reposts, inbound links, etc. that it qualifies as a phenomenon and/or the link bait is so extraordinary that it stands out in its class, e.g., a truly compelling app, video, report, etc. Coming up with epic link could require a significant investment in budget, time, and resources – and a little luck – but that is the kind of link bait that can turn people into overnight success stories. What Are The Most Common Approaches To Creating Irresistible Link Bait? Information: Offer information that a reader could find extremely useful. Go out of your way to research tips, tricks, and anecdotal reports that will change the lives of your users. News: Put out fresh information and get citations and links when the news is spreading. Add some Google News stories. Humor: Hire a comedian or joke writer to come up with funny stories. Hire a meme team to put out some bizarre images. The initial investment will be low, but this kind of seriously humorous content could get you a ton of links. Tool: Create a useful tool that people have to use again and again. A tool is virtually certain to net you some links. Unique content: Create unique content that people can’t find anywhere else. The additional benefit of this kind of approach is that you can put up Google AdSense ads on the pages where the articles, eBooks, reports, etc. are. The first thing you have to keep in mind if you’re trying to create legendary content for the purposes of epic link baiting is that you have to offer something of real value. Get the idea out of your mind that link bait is cheap or exploitative, as the name would suggest. Start thinking of creating real value. The second thing you have to keep in mind is to make sure your link bait is “future-proof”. Since you want the inbound links to be pouring in for years, it won’t do any good to create link bait that has an expiration date. However, if you have a link bait campaign that is ongoing and won’t ever end, then it’s ok to create link bait with a transitory appeal. We all know how time-consuming, arduous, and difficult it can be to create something that people pay attention to. We all want people to link to our content, to our site, and to our project. It is deeply satisfying to just sit back and watch the inbound links add up once the link bait is finally created, published, and promoted. By the way, if you’re not using a tool like Majestic SEO to keep track of your inbound links, you should be. Creating link bait can be considerably more expensive than creating the basic content you regularly create for your website, but it will pay off. It can also take a lot longer – putting together a viral video, app, or juicy eBook – but it will more than make up for its initial cost. The value of all of those inbound links pointing at your links will boost your site as a whole.